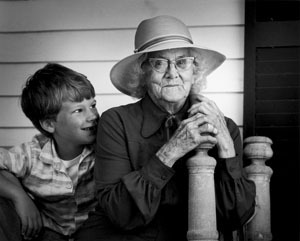 Maddie Dodge was nanny for three generations of the Alexander family and now holds the title of beloved matriarch. She grew up on Islesboro, ME in an era of clipper ships and horse-drawn wagons. Every nice day she walks to the beach to dig clams for her cat. Once a week she meets with the Baptist Women Sewing Circle to quilt gifts for the less advantaged. Her young friend Charley is fascinated by her stories of island life.